A big thank you goes out to everyone who gave me input and advice on my yarn choice. I did some more thinking about it last night as well. I was very tempted to order some Alice Starmore yarn. The tweeds are amazingly complex and it has a lovely spin to it. But, I’ve had some bad experience lately trying to choose colors over the web and I didn’t want to risk spending all that money on AS yarn and being disappointed. I do have the Leo scarf kit so I looked thru the colors to see if there was something that jumped out at me. While I did find a reddish brown and a blue that were “OK”, none were quite the shade I had in mind. So, the AS yarn will have to wait for another day. And then Naomi’s comment came through. She mentioned she ordered some Donegal Tweed from Webs. I checked out Webs and Wow! This is it. At $10/pound — that’s 15 bucks with a couple hundred extra yards — I’m comfortable taking a chance. Heck, if I really dislike them all I can probably offload them on eBay for a profit. So, an extra big thank you goes out to Naomi for pointing out this sale to me. thanks for the link,how many cones ded you buy? 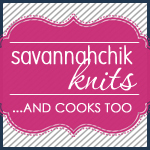 I have been lurking around on some of the knitting blogs for a few months now picking up tips and thoughts, ideas, lessons along the way. Being new into knitting I never have much to add and with a full time creative job (I am a professional seamstress!!!) 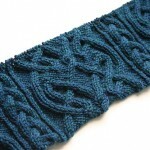 I really don’t knit enough to have my own knit blog. BUT, I wanted to tell you about WEBS. WEBS was the first place I ever ordered yarn from online, their prices are hard to resist and they bent over backwards to help me out. They even gave me a more expensive brand of knitting needles in the size I needed for the cheaper price just so I would have them! I recently moved to MA and decided to visit them in person. This was my first visit to real and true yarn store, and although I am still WAY overwhelmed by the experience, they are SUPER people at that store. Everyone is very knowledgable and eager to help you out. They have all kinds of recomendations be it price or fiber content, they will work with you. I LOVE WEBS!!! What a fabulous price. I wish I knew you were fishing around with the idea of St. Brigid on our yarn crawl. I had the VY color cards from my mom. I hope WEBS can wind if off soon. All three colors sound lovely — and SUPER price! I’m awaiting on word of availability from two sources for the yarn I’ve chosen. If neither pan out, I may go WEBS, also. This is going to be an exciting knit-along! I was surprised when I ordered from WEBS back in June. It was during their big Spring sale, and I didn’t expect to get my order for 2-3 weeks. But it was less than a week before it arrived! So you may be surprised! Webs is where Carrie ordered her Brora Softspun at I think that time a great price of $19.00 a lb. Now it is down to $12.00 a lb so we ordered more. We have been pleased with everything we have ordered from them. Let us know if you want to unload any of the tweed we might buy it from you, Carrie was looking at it. Can’t wait to see how you like that yarn! I was looking at it myself just the other day…. crossing fingers that your yarn comes sooner than later!